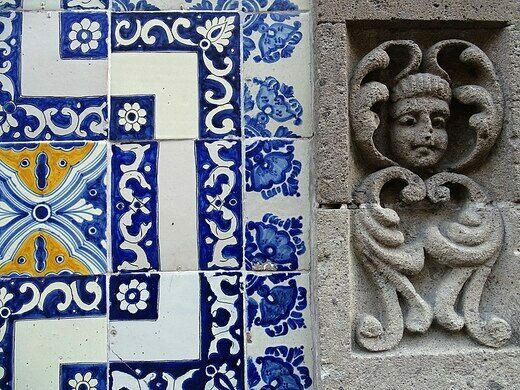 The complex decoration of La Casa de los Azulejos, or the House of Tiles, is a lasting record of Mexican art and history. 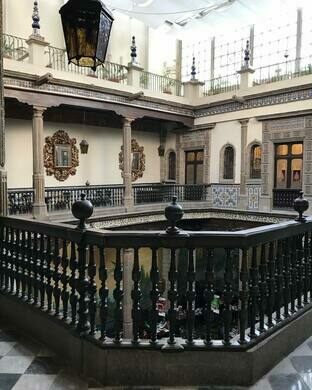 The building’s facade is covered in blue, white, and yellow tile; its interior features a mural by famed Mexican painter José Clemente Orozco; and its glass-ceilinged atrium contains stone pillars, murals, and a fountain. 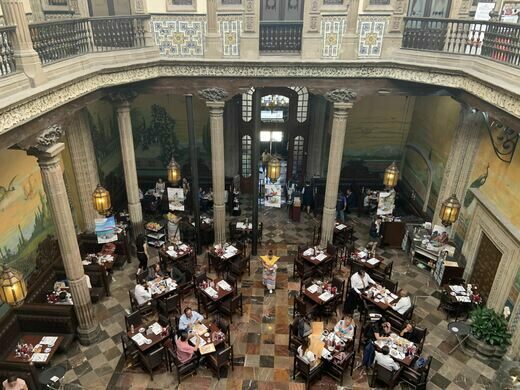 These lushly decorated walls have witnessed a microcosm of Mexican history, housing noblemen and workers’ organizations before evolving into the most beautiful branch of a chain restaurant. 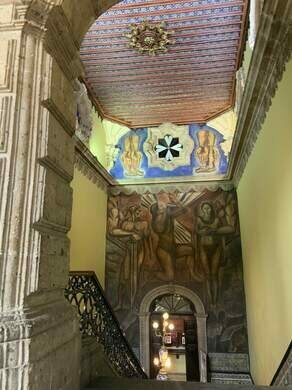 From the 17th through 19th centuries, the building served as a residence for the Counts of the Valley of Orizaba and their families. There are competing legends about its famous tiles, which appeared around 1735. One holds that the tiling was the result of a dispute between a father and his son, who partied too much. 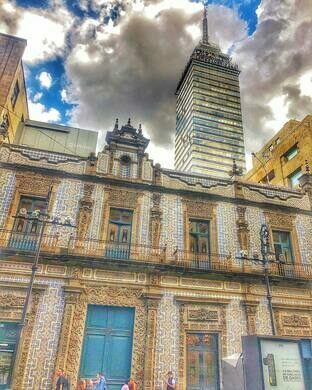 According to the story, when the young man’s father told him he was good for nothing, he cleaned up his act, grew his fortune, and covered his family house with tiles to prove to his papa that he was at least good for making beautiful buildings. 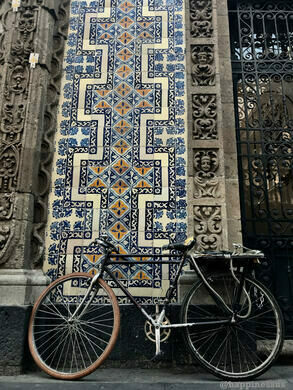 An alternate explanation holds that a countess was inspired by the buildings in Puebla and covered her family mansion with the region’s traditional tiles. 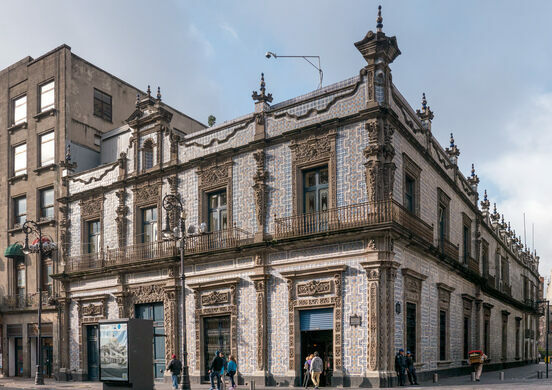 In the late 19th century, the building left aristocratic family hands and became the Jockey Club, home to elite intellectuals, and then the workers’ organization Casa del Obrero Mundial, or World Worker’s House. 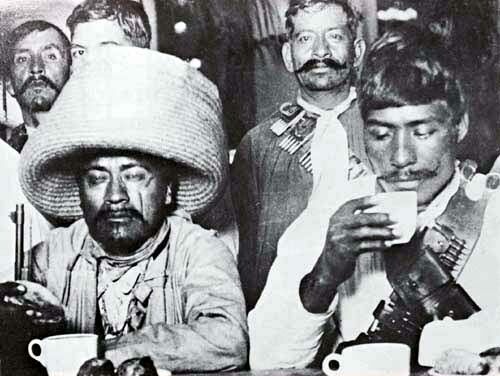 In 1917, capitalism prevailed, and the building was bought by Sanborns, a budding restaurant and retail chain founded by two brothers from California. It remains a Sanborns to this day. Nowadays, visitors can pause outside the tiled facade to snap a selfie or linger at Sanborns’ full-service restaurant. 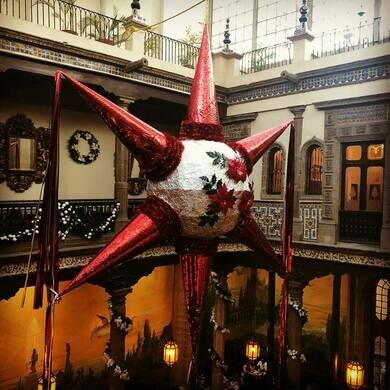 Sanborns’ hefty menu—decorated with the same peacocks that dot the atrium’s opulent walls—includes steak, hamburgers, and Mexican classics such as tacos, pozoles, and molletes. 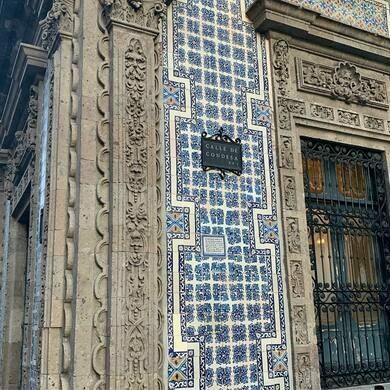 Among the other architectural marvels of Mexico City’s Centro Histórico, La Casa de los Azulejos remains a storied meeting place for the tourists, locals, and intellectuals. 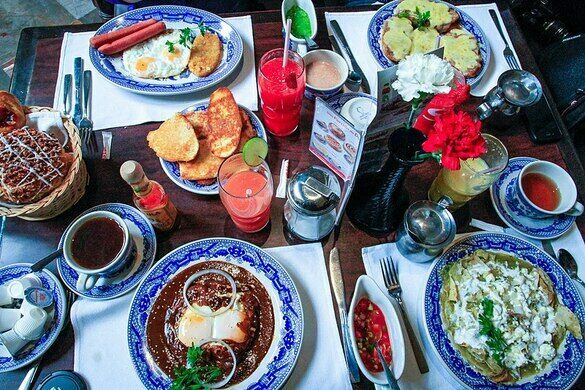 The restaurant is a five-minute walk from the Bellas Artes metro station.